How to Unroot OPPO Yoyo R2001 on Android Verison 4.2.2 – Few months ago AnyIndo had explained and guided the visitor, especially OPPO Yoyo R2001 to root and unroot OPPO Yoyo R2001, then we think we have to create similar article it is special for unroot only. Unroot OPPO Yoyo R2001, yes this is the title of this article and we hope we can lil bit help anyone who want to unroot OPPO Yoyo R2001. There are different OS version on OPPO Yoyo, and how to handle it. 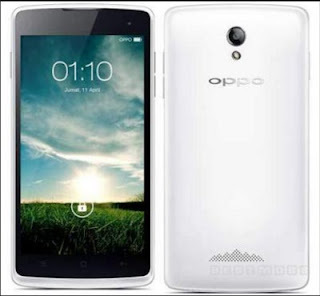 So, in this article we’re focus for OPPO Yoyo r2001 with Android 4.2.2 jellybean only. If your operating system (OS) isn’t on 4.2.2 Jellybean you can try the other articles to unroot your phone. First, you’ve to download an important application named Root Browser application. You can download it on Play Store. Or you may download it from the link we’ve provided in this article. Once you’ve downloaded that application, then install and launch the application. I guess that application has been installed on your phone. Now, when you’re on that application, search and click /system/ folder and inside of this access to /bin/folders. Find a file named su and just delete that annoying file. How to delete it, just keep press that file until the delete option appears as pop up on the screen. Some peoplecan’t find su file easily, so we suggest you to exit the folder, then when you’re in /system/, access xbin folder and delete su file. We hope you get this. Once you’re inside /app/ folder, just delet Superuser.apk file. How to delete it, just by pressing that file until a pop up to download it appears. The last step, now it’s time to reboot your phone and we need to check whether it is successfully unrooted or not. Go to Play Store and download Root Checker application. Check whether what we’ve done succeed or not by that application. Belum ada tanggapan untuk "Unroot OPPO Yoyo R2001 on Android Verison 4.2.2"